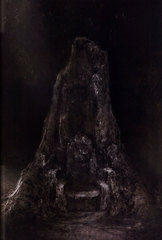 Deep within Drangleic Castle, the Throne of Want is the "true throne", and taking it means to link the fire of the First Flame. 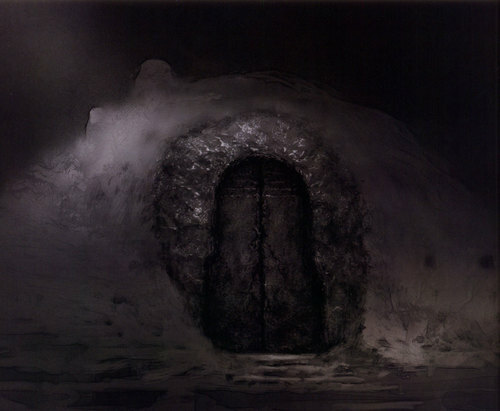 The Throne of Want door opens to Giant's Kinship because that's how Vendrick designed it - he wanted to Link the Fire back to the Giants, so they would be cursed with the endless cycle rather than humans. That was the threat Nashandra had told of Vendrick, and that's how they could ultimately end the cycle, and Vendrick had stolen a Giant's essence to link the Fire back to them. Sensing their own downfall, a Giant hero eventually rose up - their parallel of the Chosen Undead - and lead the assault on Drangleic, to try and retrieve their essence so Vendrick couldn't link the curse back to them. That's when Vendrick found out Nashandra wanted an entity with a large enough soul that she could consume, to ensure the Fire would be extinguished once and for all. The throne will certainly receive you. What do you want, truly? A soul is much like a curse. within themselves an even stronger curse. powerful soul to keep the curse at bay. In the end, he sought the flame that began it all. Wear this ring to open the King's Gate. Each king has his rightful throne. he sees what he chooses to see. which shows the king only what he wants. and only a worthy heir might burnish their light. Soul of the Throne Defender. and requires an appropriate guardian. Worn by the Throne Defender. The Defender has stood by the throne for ages. Will his wait be worth the while? Soul of the Throne Watcher. and must be observed closely at all times. Worn by the Throne Watcher. The Watcher waited by the throne for ages. Will all his waiting ever be rewarded? of kinghood were drawn to their awesome strength. Sacred chime created from the soul of Nashandra. in search of greater power.